Why Use Preservatives in Natural Products? People sometimes ask us why we use preservatives in our natural products. As a manufacturer and distributor of natural products, we strive to make our products as natural as possible. However, one reality of modern life is that we need preservatives in certain products. To get many (especially natural) products from the manufacturer to you requires some sort of preservative. Products are often shipped from manufacturer through distributors, shipping warehouses and other places that add time (and often heat) before the product ever reaches you. To get that product to you and to have a reasonable shelf life requires that certain products be preserved, in some fashion. Otherwise, you’d shortly end up with some pretty funky stuff instead of the product you paid for. Is it inconvenient to have a rotting product? Yes. But, even worse, some of those nasties that can grow in your products are harmful to your health. Preservatives of some kind will almost always be needed in products where water is present. Water is the basis of all life, including bacteria, fungi and molds. Products without preservatives may have a short shelf life, even if refrigerated. 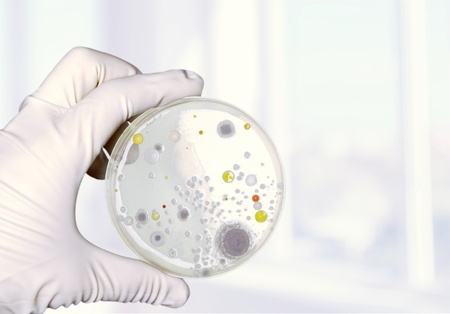 Products that are not properly preserved, even if made in a pristine environment and free of microbes when shipped, can become a health risk when exposed to the yeast, mold, fungi and bacteria present in all of our homes. Parabens are a group of broad-spectrum preservatives (meaning they kill a variety of germs) used to prevent the growth of harmful microorganisms, especially molds and yeast. Parabens are derived from benzoic acid. Benzoic acid is a chemical commonly found in plants. So, to some extent, parabens are “natural”. They are as natural as some alternative preservatives being proposed, such as grapefruit seed extract (more on that later). Parabens have been used extensively for over 50 years and have been researched thoroughly. Parabens are used in very small concentrations causing absolutely no reason for concern for most people. So, we'll just say right up front, we don't have a real problem with parabens. Why Use Parabens? Why Not Use Parabens? When we started out in this business, we heard the horror stories concerning parabens and decided to try to avoid them in the products we offer for sale. We did our research. However, the reality is there are no great alternatives. Many of the manufacturers that offer paraben free products (or products free from other chemical preservatives) make disclaimers about the shelf lives of their products (in other words, they don't last as long on your shelf) or even the safety of the products they sell without chemical preservatives. They pass the risk of not using effective preservatives on to you, the consumer. Parabens are well tolerated by just about everyone. Extremely sensitive people may develop a mild skin reaction, in products that are not rinsed off- such as lotions. This reaction is rare. The reaction is even more rare in products that are rinsed off, such as shampoos, soaps, body washes, etc. We have to weigh the very small risk of a mild skin rash against the serious health threat posed by spoiled products. You may have found websites that suggest that you should avoid parabens at all costs because of increased risk of cancer. However, you should be aware of the real “threat” of parabens may the risk you take by using improperly preserved products trying to avoid them. The controversy over parabens, like the controversy over Sodium Laurel Sulfate is a difficult one to sift through. It’s not that there is any lack of opinion on the subject. It’s just that you have to consider the source when you do find information. It seems almost everyone has an ax to grind when it comes to this issue. It's very difficult to find objective facts. Manufacturers that use parabens want to defend their use. That’s understandable. Parabens are extremely effective in preventing the growth of some real nasties. They are easy to use and relatively inexpensive. So, manufacturers like parabens. They keep their products affordable and free from germs that shorten shelf life and can threaten health. Alternative “Natural” manufacturers want to sell you their paraben free products. Those products often come at a premium price. And, some manufacturers are not above "distorting" the facts to sell their products. So, some go to irrational extremes to vilify parabens. You should know there is no current credible evidence linking parabens and illness. Parabens are less sensitizing to the skin than most other preservatives used in beauty products around the world. They are low in toxicity (they’re food grade preservatives) and have low potential for irritation. As pointed out earlier, parabens are derived by modifying chemicals that occur naturally in plants. BTW, so is Grapefruit Seed Extract. If that stuff is natural, so are parabens. The CTFA continues to look at this issue (probably because of the persistent rumors. The CTFA (now called the Personal Care Products Council) continues to look at this issue (probably because of the persistent rumors). For the most recent update, visit the Personal Care Products Council and do a search on parabens. The leading cause of breast cancer is the use of antiperspirant. Yes, ANTIPERSPIRANT. Most of the products out there are an antiperspirant/deodorant combination, so go home and check your labels. Deodorant is fine, antiperspirant is not. This is not true. There have been many extremely thorough epidemiological studies of breast cancer risk factors published in medical journals. In the January/February 2004 issue of the Journal of Applied Toxicology, British researchers reported that traces of chemicals called parabens were found in breast tumor tissue of several patients. Parabens, preservatives used in cosmetics, shampoos, skin creams, hair gels and various food products, mimic the actions of estrogen - a hormone linked to breast cancer. However, the researchers said their study did not prove the chemicals could cause breast cancer. And the levels of parabens detected in the tumor tissues were much lower than the levels of naturally occurring estrogen in the body. "There's going to be a far greater risk from other sources of estrogen, such as taking hormones after menopause and being overweight, because fat tissue makes estrogen," says Michael Thun, MD, the Society's vice president of epidemiology and surveillance research. "The additional risk, if it exists, would be minuscule. " "People should not worry about using antiperspirants, but the findings must be taken seriously by regulators who are responsible for assessing the safety of consumer products," said Thun. Antiperspirants: Internet e-mail rumors have suggested that chemicals in underarm antiperspirants are absorbed through the skin, interfere with lymph circulation, and cause toxins to build up in the breast and eventually lead to breast cancer. There is very little experimental or epidemiological evidence to support this rumor. Chemicals in products such as antiperspirants are tested thoroughly to ensure their safety. One small study recently found trace levels of parabens (used as preservatives in antiperspirants), which have weak estrogen-like properties, in a small sample of breast cancer tumors. However, the study did not look at whether or not parabens caused the tumors. This was a preliminary finding, and more research will be needed to determine what effect, if any, parabens may have on breast cancer risk. On the other hand, a recent large epidemiological study found no increase in breast cancer in women who used underarm antiperspirants or shaved their underarms. This is a great example of how not having all the information can lead to a faulty conclusion. Many people believe that their risk for cancer is growing because cancer figures are sometimes reported out of context. The actual number of people who are diagnosed and who die of cancer each year has indeed grown--because the US population is growing larger, and is aging. With more people and more older people (who have a higher incidence of cancer), we would expect to see a larger number of cases of cancer, even if the rate of cancer (on a per person basis) remained the same. The fact is the rate of cancer is dropping even though the number of people getting cancer is increasing, it is increasing at a rate less than the increase in population. In other words, cancer is not on the rise, it’s on the decline. What about alternatives to Parabens? Because of the persistence of rumors about parabens (from questionable, at best, sources), there has been pressure to find safe and effective alternatives. Frankly, we’d rather use no preservatives or use the most “natural” thing possible. It’d be great marketing for us and save us money. Any preservative costs a manufacturer money- we don't want to use them. But, let’s face facts. Skin care products need preservatives. Most are kept in our bathrooms; where there are hordes of unknown germs, lots of humidity and warm temperatures. This is the perfect environment for growing… well just about anything. Anything that contains water (i.e.. creams, gels, lotions) is a paradise for bacteria and molds, and the natural sugars in plant extracts are their favorite snack food. So, ironically, the more “natural” we make our products by including all those great plant extracts, the more they are susceptible to spoilage. However, many natural substances do offer some limited antibacterial benefits. Certain essential oils, like Tea Tree, and some vitamins can help reduce some forms of bacteria, when used in high concentrations. But, the concentrations required for long term preservation under less than ideal conditions put you at serious risk for skin irritation. In other words, if someone put enough tea tree oil in a product to actually inhibit the growth of germs, it would be so much as to greatly increase the risk for skin irritation. Other natural substances are useful only against certain types of bad-guys and for limited amounts of time. Some natural care products are switching to Sodium Hydroxymethylglycinate as an alternative to parabens. Some are even going so far as to call it a “natural” preservative. While it has been proven to be extremely effective in low concentrations and to be non-harmful (making it an excellent alternative), we feel it is going a little far to call it natural just because it is derived from natural a naturally occurring amino acid. If you are consistent, the same logic that allows you to call this product natural would make Sodium Laurel Sulfate (derived from coconuts) natural. For that matter, you could call parabens natural since they are derived from benzoic acid, which is found in nature. Sodium Hydroxymethylglycinate is a broad-spectrum preservative effective against bacteria, yeast and mold. It is used at extremely low concentrations between .1% to 1% at the most. It is active at all alkaline pH levels as well as acidic conditions. Sodium Hydroxymethylglycinate is derived from glycine, which is a naturally occurring amino acid. Glycine is made up of sweet-tasting crystals; it is used as a dietary supplement and as a gastric antacid. Sodium Hydroxymethylglycinate has been tested and found to be non-irritating, nonsensitizing, non-toxic by skin absorption and non-mutagenic (does not damage the DNA or possess the potential to damage chromosomes). Manufacturers are still working with Sodium Hydroxymethylglycinate to determine whether it is effective enough for general use. Again, while it may prove to be as effective as parabens and may prove to be as mild or milder than parabens, that's great. But, it doesn't make it a natural alternative (or suggest that natural alternatives are necessarily better). We will continue to monitor the use of Sodium Hydroxymethylglycinate and use it as appropriate. What about those “natural” preservatives? While it is true that some essential oils have antibacterial and anti-fungal properties, the quantity needed to effectively preserve a water containing product would be at unsafe levels. Care needs to be taken when using essential oils. They can help keep oil based products from going rancid. But, in water containing products, they're mildly effective, at best. While potassium sorbate can effectively preserve against mold and yeast, it is not useful for protecting from bacteria. It is not at all effective in products with a pH over 6, which most lotions are. While potassium sorbate is found in nature, any available today would have been synthetically made so it is not all-natural. It is also believed to cause contact dermatitis (skin irritation). Vitamins A, C and E can extend the shelf life of products by preventing oxidation and by slowing the growth of certain bacteria. And, they are good for you. Vitamin E in particular is great for keeping oil from going rancid. We do use Vitamin E, as a preservative, in our oil based products. But, these vitamins are not effective as broad-spectrum preservatives and cannot replace other preservatives in all products. Think about this. Orange juice is loaded with Vitamin C. But, would you want to drink a glass that was left in your bathroom for a couple of months? The pressure to continue to find alternatives to parabens seems to be continuing. Because of the concern of some of our clients, Treasured Locks continues to remove parabens from products where possible. However, we still believe parabens are safe and effective. Unfortunately, there are no highly effective all-natural preservatives. And, preservatives are necessary. Unless we want to accept very short shelf lives and/or start keeping all of our products, in a cool, dark place, we are going to have to use preservatives in some products. While it would be great if a “natural” alternative existed, the truth is there isn’t one that is effective enough. To keep certain types of products free of bacteria, mold and yeast and to make it a product that is safe for your use, a chemical preservative is necessary. We will continue to follow the research in this area. This is a very important subject to us. But, in the meanwhile, parabens are highly effective and have been proven time and time to be safe for most people. Their benefits (including health benefits of preventing disease) far outweigh any risks associated with their use. I was reading your article about Parabens and preservtives. It seems to have been written in 2006. Reading the labels of many "Natural" products recently, None of them use Parabens but seem to be on the shelf for months/years. They all have long chemical sounding names with 'from natural source' etc written in parenthesis after the name. Has research into "Natural" preservatives advanced since 2006, and what further research have you done in this area? Here is our answer: Many manufacturers, succumbing to public pressure, have begun using preservatives other than parabens. However, how natural these preservatives are is questionable at best. In a manner of speaking, everything comes from "natural sources" (including parabens- as we pointed out in the article). How much one can chemically alter something and still call it natural will always be a subjective call. We stand by our statement that parabens are generally safe and effective. However, you may have noticed that many of our products no longer contain parabens. In our opinion this is not because anything necessarily safer or more effective has been found. But, being "paraben free" is the new buzzword in cosmetics.